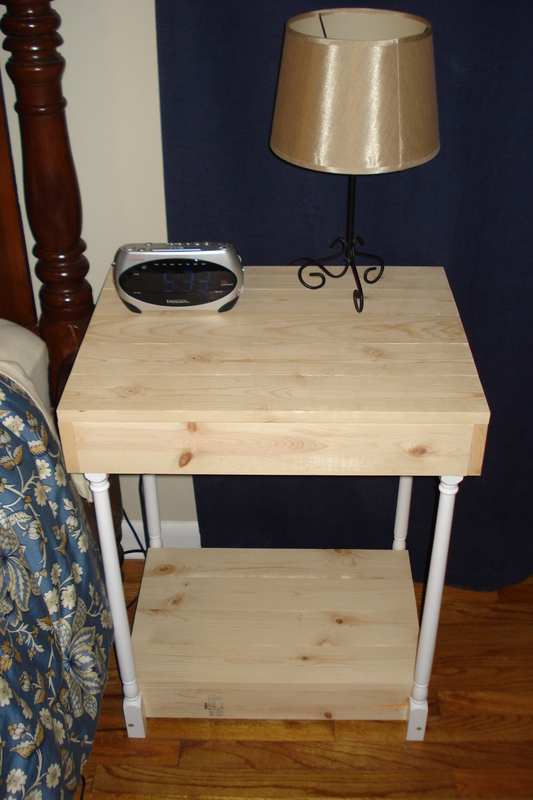 The first major project that I set out to complete on my new table saw was an end table built out of 1×4’s and baulistrades. A very creative friend of ours was the inspiration for this project. The inspiration for this project is shown below. 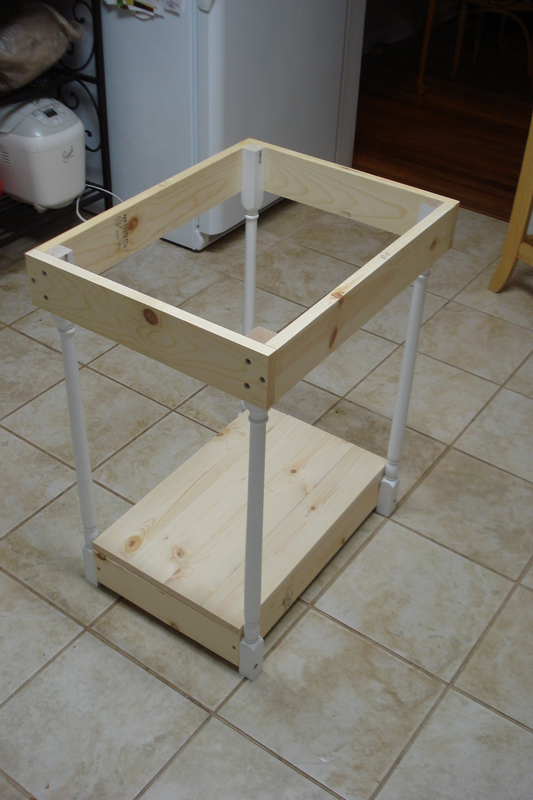 The following pictures show the version of the table that I created. At this point the table is still unfinished. 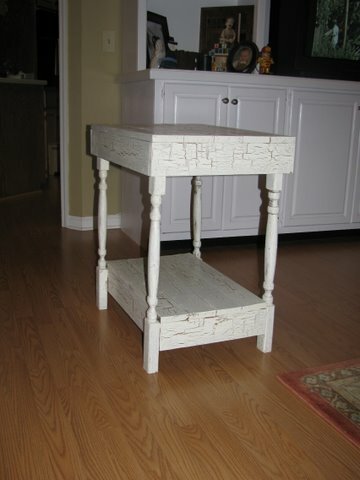 Future work will include adding finishing touches and “crackle painting” the table to give the table a distressed country look. 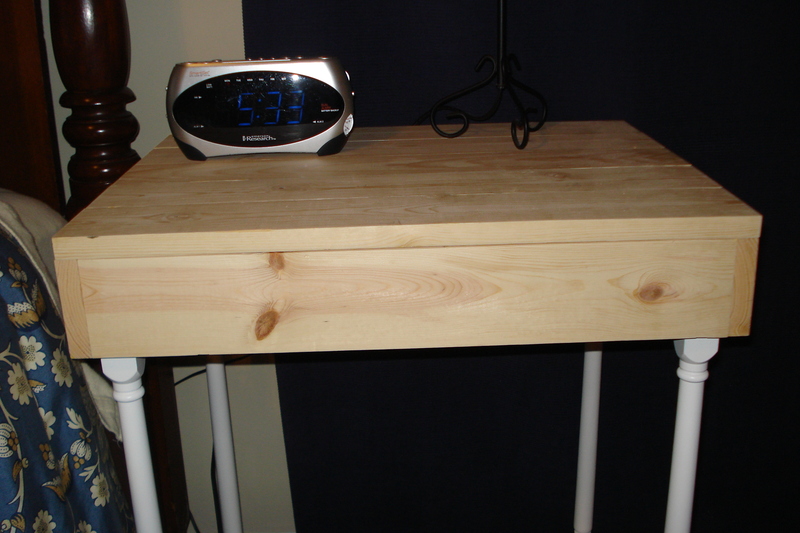 The entire table is built from 5 8’x1″x4″‘s and 4 baulistrades. 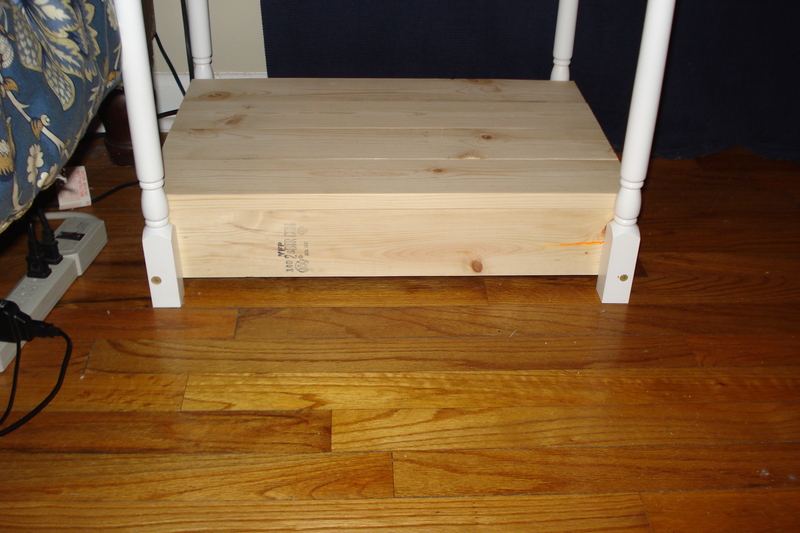 1-1/4″ wood screws were used for construction throughout. End of post, anything past this point is an advertisement appended by my (free) blog hosting company. 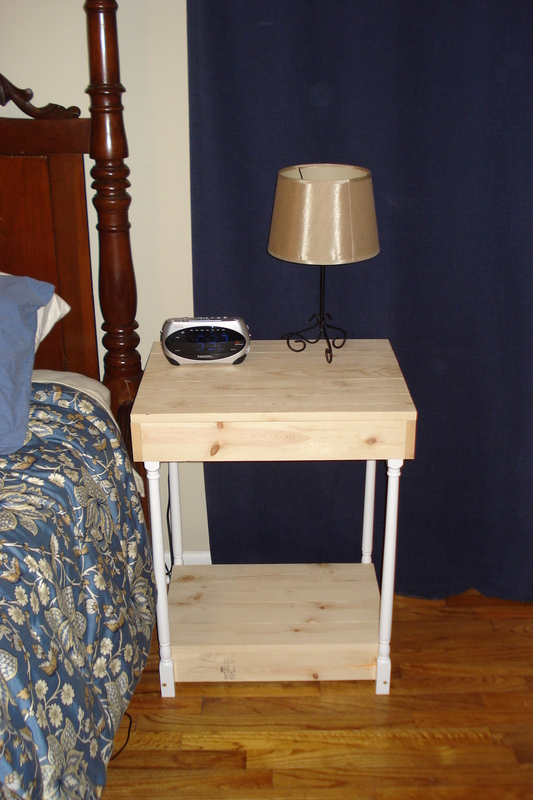 This entry was posted in Project and tagged furniture, nightstand, table saw, wood working. Bookmark the permalink.